I frequently teach emergency management classes/trainings and the topic of evacuations comes up a lot. Even when I teach emergency managers, I’m often surprised by how few understand the concept. The objective of evacuation is to relocate to a place of greater-known safety (ideally to a location that permits continued sheltering-in-place). 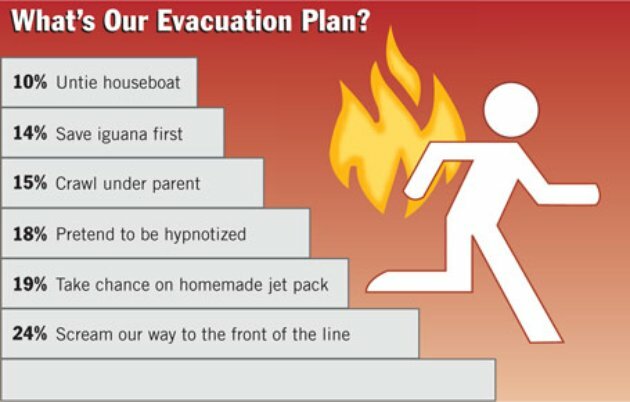 Most folks think of evacuation as just getting out of dodge. Essentially, we have quite an elementary mindset of evacuation. Literally elementary. The standard we seem to have adopted is that we all simply file through the exits and make our way outside. Seemingly, that’s when most emergency management plans end. Fortunately, that is not when our duty as emergency managers ends. Of course, we recognize that sending folks outside isn’t always the safest course of action (if that were the case, we would just always evacuate). For instance, if we suspected that there were anthrax in the air outside, we wouldn’t evacuate outdoors. Similarly, if there were evidence of HAZMAT outdoors, we would shelter-in-place rather than evacuate. Too frequently we neglect to consider the effects of outdoor evacuation posed by inclement weather, potential for secondary attack/sniper, damages/injuries caused by secondary improvised explosive devices (IED) intended for responders/evacuees, and lack of accommodations for those with functional/access needs as well as those with medical issues. 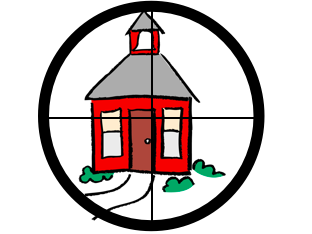 For example, in 1998, two students activated the fire alarm at a middle school and took up shooting positions around the outdoor field. The result was the Westside Middle School massacre with five people killed. In 1974, five people were killed and 11 injured when a student in New York fired on his classmates as they evacuated Olean High School. I propose an evacuation decision-making process that begins with notification of a hazard and concludes with a rapid assessment to relocate to an alternative indoor location or return quickly indoors to the primary location. You’ll notice that evacuation is the HALFWAY point of the process, not the terminal activity. It is vitally important for emergency managers to understand that safety is not intrinsically linked with the outdoors. Indeed, when folks have evacuated outdoors, there are many safety and security concerns present. For individuals with medical conditions, will they be able to take medication outdoors? What if they require privacy, drinking water, or a sharps container? Is there perimeter security for an outdoor evacuations (also known as “force protection”)? If the weather is severely cold, is ice accumulation a hazard? Is there the threat of frostbite? During severely hot weather, individuals outside for extended periods of time may become victims of heatstroke, dehydration, and other medical problems associated with exposure. When individuals are forced to evacuate and stand outdoors for extended periods of time, the potential for secondary medical emergencies and abandonment (the act of one or more individuals abandoning the evacuation effort) increases. 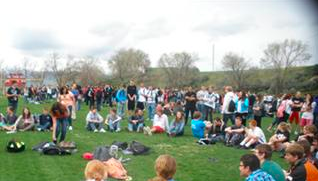 During an evacuation, discipline and accountability are crucial. Poor communication, inconsiderate attitudes towards those with special needs, and discomfort due to environmental conditions are all issues that plague evacuations and can lead to discord among the evacuated masses. As emergency managers, we must recognize that an outdoor evacuation should be planned to be as rapid as possible. If immediate return to the affected building is impossible, emergency managers must have a plan to immediately relocate personnel to an indoor evacuation rendezvous point. Hopefully, if we rebel against an “elementary” mindset of evacuation and plan for immediate relocation after evacuation, we’ll reduce the collective risk of injury or death due to outdoor safety/security concerns.